Over at Between Two Worlds, blog of Justin Taylor, he recently posted an article that tells of two books on the Holy Spirit by author Graham Cole. Cole is currently professor of biblical and theological studies at Trinity Evangelical Divinity School. The two books are He Who Gives Life: The Doctrine of the Holy Spirit (which is a more theological work) and Engaging with the Holy Spirit: Real Questions, Practical Answers (which is a more accessible book to all people). 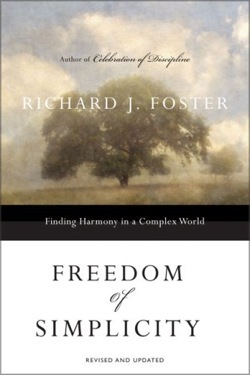 It seems Cole is more of a cessationist, but his book receives a positive recommendation by C.J. Mahanney (a continuationist) for both books. But, more interesting on Justin Taylor’s blog is a short interview between him and Cole. There are four specific questions discussed, but I thought this one about the Spirit’s filling in Ephesians 5:18 presented some good things to chew on. 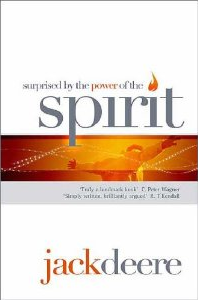 We are commanded to “be filled with the Spirit” (Eph. 5:18). How do we do that? The first thing to notice is that Ephesians 5:18 is addressed to a congregation. 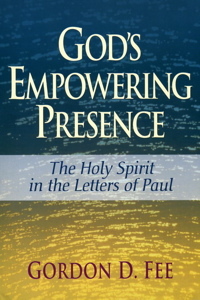 Next, it may be translated “Be filled by the Spirit!” In fact, in context Paul is contrasting the sort of behaviors you see in a pagan assembly (e.g., drunkenness) and what is to characterize a Christian one (e.g., making melody in your [plural] heart [singular] to the Lord and submitting to one another out of reverence for Christ). In my view, it is not about power for service for the individual. We obey this command when our Christian meeting is filled by the Spirit with these kinds of practices. Then we truly are the temple of the Holy Spirit that Paul speaks of in Ephesians 2. However, Paul specifies no steps. So what’s the way forward? I suggest Acts 4 provides a paradigm case. These early Christians gathered in the face of persecution and prayed for boldness to proclaim the gospel. Interestingly they did not pray to be filled with the Spirit. And what did God do? He filled them with the Spirit and they spoke boldly indeed. So I would counsel if you want to be filled with the Spirit, set your heart and life prayerfully on the next step of Christian faith and obedience and you will be filled with the Spirit. Back to Ephesians 5. When we as a congregation prayerfully fill our meeting with the practices set out in Ephesians 5:19-21 we can trust that our assembly really is the temple of the Spirit. In these practices the focus shifts from me to the Lord, and my brothers and sisters. Click here for the rest of the article at Between Two Worlds.